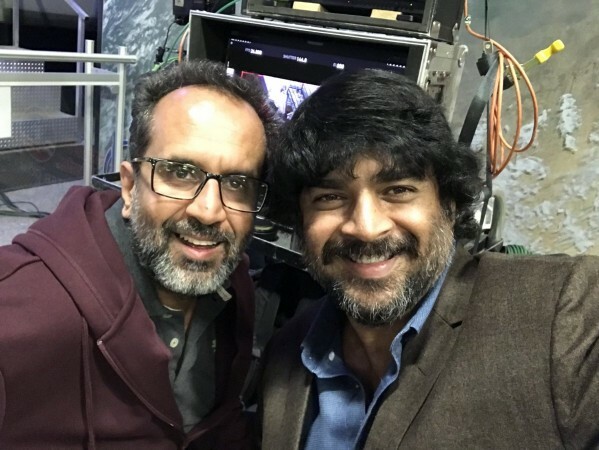 Aanand L Rai shared a selfie with his dear friend R Madhavan from the sets of Zero and gave a sweet surprise to his fans. R Madhavan was sad when he had to back out of Rohit Shetty's upcoming film Simmba due to a shoulder injury. He may have lost a good opportunity back then, but now it is time for him to rejoice. He bagged another big project with his Tanu Weds Manu director Aanand L Rai and has already started shooting for it. Yes, Maddy will star alongside Shah Rukh Khan, Katrina Kaif and Anushka Sharma in his upcoming film Zero. As Tanu Weds Manu clocked three years, Aanand L Rai shared a selfie with his dear friend R Madhavan from the sets of Zero and gave a sweet surprise to his fans. He tweeted, "It's #3YearsOfTanuWedsManuReturns and feel so happy to shoot with My Maddy our Manu in US for #zero #friendsforever." Madhavan, who is also quite excited to collaborate with Rai once again in Zero, replied, "Love you Bhaii... the superlative glee and excitement is all mine ..muaaaaahh." While the details of his roles are yet to be known, it will be a delight to watch Madhavan perform on the silver screen after his gripping performance in the web series Breathe. Zero has been the talk of the town ever since Rai announced the film with Shah Rukh Khan in lead. Katrina and Anushka later joined the cast making it even more exciting for their fans. In the movie, Shah Rukh Khan is a dwarf who falls in love with Katrina, who is a superstar in the movie. Anushka, on the other hand, will be portraying a character with an intellectual disability. It will also see Sridevi in an important role. This will also be the last appearance of the legendary actress who died to the accidental drowning on February 24, this year in a hotel room in Dubai. Jointly produced by Anand L Rai and Red Chillies Entertainment, Zero will release on February 1, 2019.